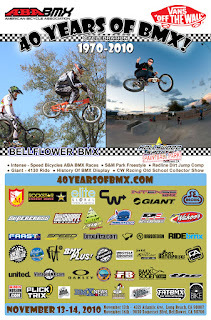 Flatland will be included in this event. If you're in the area come out and ride. It harvest time,and it smells great. 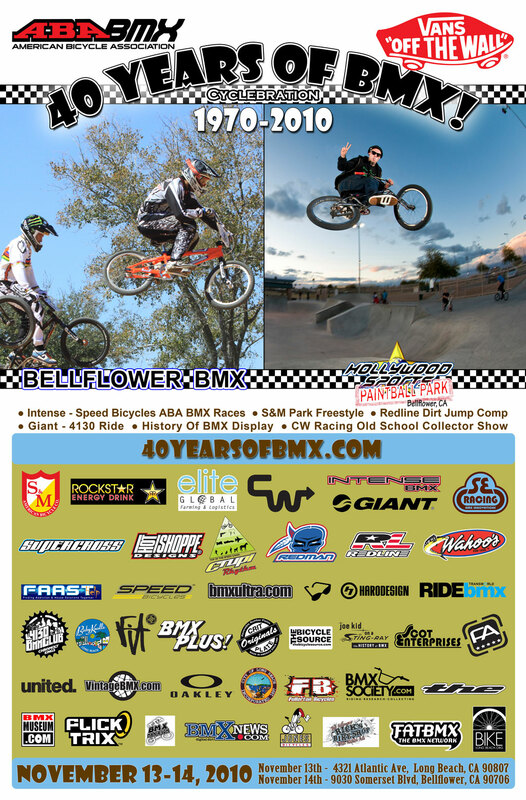 For more info check out 40yearsofbmx.com. If you need the 411 on the flatland, my man Lalo Jimenez is on Facebook. Theres a good chance you're friends with him in the virtual world. Lalo also helped organized the flat demo during VH1 Soulstice Music Festival.